Online search engines have revolutionized the way transactions are conducted in the modern days, and real estate is one of the industries that has been most impacted by this trend, since several studies reveal that consumers rely extensively on the internet when house hunting. In fact, for many interested home buyers looking online is the first step they take in their quest. It is thus not surprising that real-estate related searches have tremendously increased in the last decade and this is a trend valid globally, but also in the case of Cyprus as well. Nowadays, real estate websites are considered as the most useful source of information when looking to buy, sell or rent a home or any other property type. 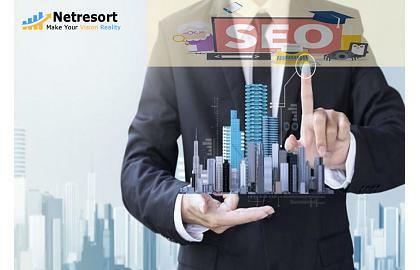 In turn, this reveals the huge potential in terms of traffic and lead generation to be had by professionals in the real estate market through optimizing their online presence and renders SEO an absolute necessity in order to succeed in this market. Although most real estate agents, especially in Cyprus which is a small country with short travelling distances, tend to service all towns and regions, it is advisable to focus your initial efforts on your website on the main area where you do business the most and gradually build out your targeting to other areas over time. It has been found that most interested property buyers start out their research by performing a local keyword or phrase search online, such as for example “Limassol real estate agents”. Therefore, you should try to optimize your real estate website for several, relevant search terms, all accompanied by a specific area or location. Let us say you decide to focus on Limassol, which would be a good idea since it ranks first with 37% of all real estate contracts on the island, also topping the list for sales of properties with the higher prices, according to PwC’s “Cyprus Real Estate Market” report. In this case your focus should be on the terms: Limassol real estate, Limassol homes for sale, Limassol real estate listings, Limassol real estate agent etc. .Your primary aim should be to turn your website into a truly useful resource for any prospective home or property buyer, ensuring it is full of informative and purposeful content with the important local keywords that you are targeting being incorporated throughout all the pages of your site. For example, in the “Living in Limassol” section you can provide information on schooling, public transport, cost of living, crime rates, municipal taxes and any other information and statistics that you see fit for and useful for prospective buyers. The secret is to be as targeted as possible and concentrate your initial efforts on capturing local traffic, since it is easier to rank high on search engines for an area specific keyword rather than overall. Once you build your brand, establish your authority and attain high rankings and visibility it will be easier and more straight- forward to expand your reach and target the entire country or market spectrum, while managing to rank high for all competitive keywords and phrases. Although as an agent you may have hundreds of listings in your portfolio at any one time, there are always properties that you want to sell the most, those transactions that give you the most motive to seal the deal. Securing traffic for and generating traffic to these particular properties is thus essential and one way it can be achieved is through writing dedicated blog posts for each of these properties. Each blog post should be targeting a specific property’s address, in such a way that the address becomes the keyword that will come up in online searches on search engines. The best SEO practices should be followed in this instance as well, and the targeted keyword should be used in the page’s meta description, the title tag and the alt tag on any photos used. The actual content of the blog article should not only include the property’s standard description but also at least 200 words of unique content in which the properties features are described in detail. Remember that unique content is one of the best ways to rank high on a search term. Photos and videos are always vital in winning engagement on all kinds of websites, but this particularly valid when it comes to real estate sites since home buyers and anyone interested in buying a property love to see good quality photos as well as real video tours of the home or property they are thinking to buy. Another attractive addition to your real estate website are real life testimonials of satisfied customers that you can capture every time you sell a house and post on your site for future visitors to watch. Relevant research has revealed that real estate listings which are accompanied by videos get far greater numbers of inquiries than plain listings, while the addition of video in general is known and proven to triple the numbers of inbound links to a page. Business directories are considered by many consumers as reliable and authoritative sources of information and real estate agent directories in particular are often very popular and tend to attract a lot of high quality traffic, since users are certainly looking to buy a property if they decide to resort to such a directory. Even if Cyprus is a relatively small market there are still numerous popular directories and getting listed on them is a smart move that you should not omit, making sure you included all your up to date contact details so that interested prospective clients will be able to get hold of you fast and hassle free. You don’t necessarily need to be enlisted on all the available directories, but getting listed on the right real estate or general business directory, especially on local ones for the niche areas you are targeting is sure to bring a lot of high quality, qualified traffic along your way. Individual real estate professionals working under the umbrella of one big agency is often the norm in the real estate sector. If this is your case then your agency will most probably have a dedicated page under your name and this gives you a great opportunity for optimization on a personal level. You could use and treat your name as a keyword, including it in the title tags and meta descriptions of your agent’s webpage that is dedicated to you. This will being you recognition and visibility and may even lead customers to perform searches of your name when looking to buy a property. Clay recommended including your full name in the title tag and meta description. 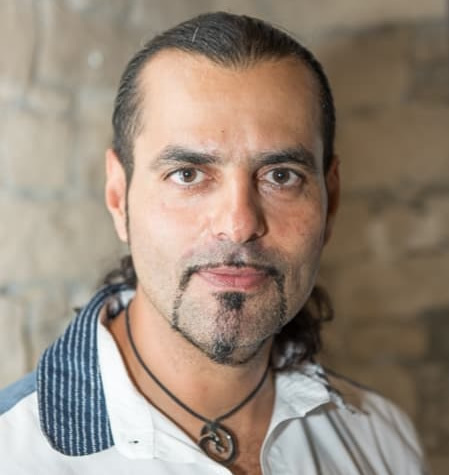 Moreover, you can include a short bio of yourself and all your contact information helping you build a relationship with prospective customers, earning their trust and enabling them to easily get hold of you to serve their real estate needs. Real estate is an industry where human relationships, both with sellers and buyers, are hugely important and in today’s modern, fast-pacing world social media is a highly effective way to build such relationships or for consolidating and nurturing existing ones. If you have an optimized social media presence that signals to clients that you are experienced and trustworthy this can do wonders for your exposure and new client attraction. Adopting an active social media presence as a real estate agent enables you to constantly and immediately interact with clients on a daily basis on a variety of platforms such as Facebook, Twitter, Google+, Pinterest, Instagram and others. If you cannot sustain a healthy presence across all networks, then do your research and find out where your target clients are most active socially, so that you can concentrate your efforts to reach them better. Pinterest and Instagram are particularly useful platforms for real estate businesses due to the importance of photos and videos in attracting the attention of prospective property buyers. Facebook is also a very effective tool, especially if we consider its great popularity and penetration among Cypriot consumers, with over 80% owing a Facebook account. For your online social media presence, across all platforms, remember that you should use optimization and clever strategies as well, ensuring that you employ relevant hashtags such as #realestate or #listing. For more tips and insights on how to best make use of social media, you can read our article for an Effective use of social media for online businesses in Cyprus. If you are a Cyprus based realtor or represent a brokerage house and are interested in learning more about digital marketing and how SEO can help you maximize your online reach, contact our enthusiastic team of experts today and let us help you turn your real estate visions into tangible, profitable, business success.